Learn to Fly in Minutes a Day Without Leaving Your Living Room. 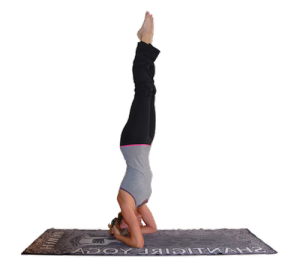 Tania Jo Ingrahm, bandha course creator, in Mayurasana. This online, self-paced course on the bandhas make this pose possible. with the indepth knowledge you need to transform your practice. Do you find yourself baffled by the BANDHAS? Do you have an intuitive sense that they're really important but don't know how to activate them? Have you tried to achieve the kind of lightness in your practice you see others display? This course was designed for YOU! Until you have a VISCERAL sense of the bandhas in your own body, it's all just mumbo-jumbo. We conceived this course while working with hundreds of yoga teacher trainees and our own students. By sifting through volumes of esoteric information on these vital energetic locks, we've synthesized it all into an easy-to-follow, step-by-step online course that has the potential to transform your yoga practice and teaching. Start your journey today into the depths of a yoga practice that will continue to unfold for years to come. I took "The Elusive Bandhas" course with Tania and Rupali last spring and have spent the intervening months incorporating the course material into my own practice. As part of a team training new teachers, I went back through all the materials to give our 200-hour candidates an introduction to the bandhas—far superior to what I was exposed to in my own 200- or 500-hour trainings! It's our delight to assist you in continuing your education as a yoga teacher. We believe in the importance of knowing about the bandhas, regardless of your style of yoga. They're a transformational practice that can enrich the practitioner in everything he or she does. Tania Jo Ingrahm, eRYT, and Rupali Embry, eRYT500, have nearly 60 years of extensive yoga experience between them. They've done it all in the yoga world—from teaching thousands of hours of classes, owning a yoga studio, training hundreds of yoga teachers and traveling internationally to teach. 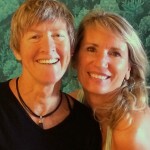 They are committed to upleveling the lives of yoga teachers through ongoing continuing education. Here's What You'll Learn in This Course. supporting videos on the kriyas that make learning the bandhas easier. We Support Your Ultimate Learning. Online learning available from anywhere. 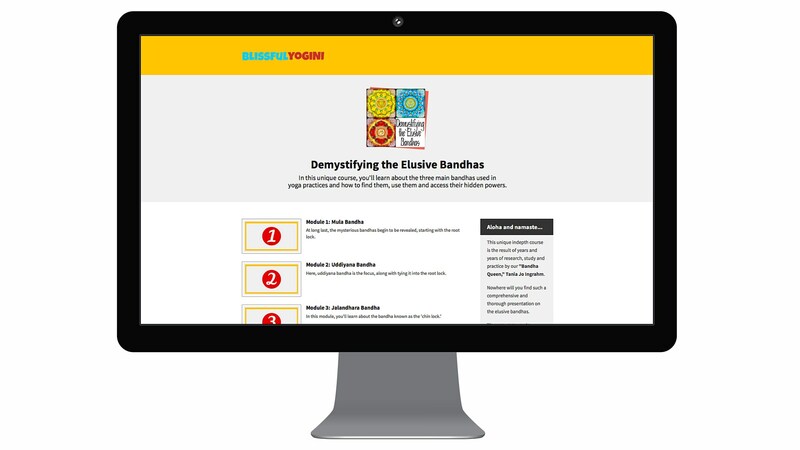 Our learning platform will guide you through the six comprehensive modules that make up “Demystifying the Elusive Bandhas” course. Each video is presented in small bite-size chunks so you can take in the right amount of information at each session. Ask questions along the way. Course creators, Tania Jo Ingrahm and Rupali Embry, are available via email or through the course comment section for any questions you might have along the way. We believe this unique course cannot be found anywhere else. Knowing about the bandhas is vitally important for ALL yoga practitioners, regardless of their style of yoga. We look forward to this opportunity to share with YOU the immense value of this deep knowledge.